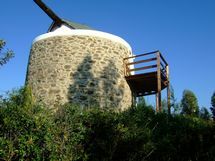 Renovated windmill with additional millers cottage to renovate. 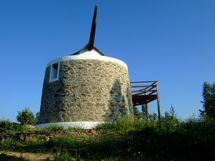 Full Description: This stunning Windmill located near the pretty village of San Marcos da Serra in the Algarve has been lovingly renovated to a high standard using the original stone and has exceptional views over the Algarve countryside. 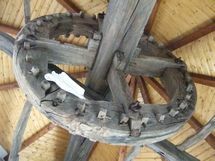 The interior ground floor has a bathroom, kitchen, wood burning stove and round grind stone dining table. 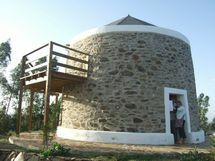 The upper floor contains the original mechanisms of the windmill, a large bedroom and access to a deck balcony from which sunrise and sunsets can be enjoyed. 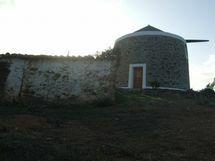 Next to the windmill there are two stone ruins of old cottages, ready for renovation, one of which contains the original bread oven. There is also an option for building small chalet style buildings on the land. The property has two urban numbers therefore one can apply to the Silves Council for enlargment of the existing buildings before renovating. 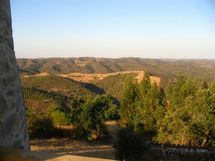 There are great potentials for this property to be used either as a unique holiday getaway, a rental retreat, or after renovating the cottages it could make a great home or tourism business. This listing has been viewed 53371 times.